Netflix and chill? 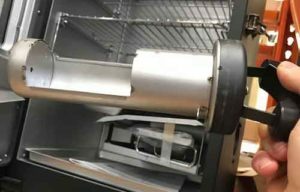 How ‘Bout Sous Vide Grill! Every once in a while we stumble upon a trick that launches a revolution. Sous Vide grill techniques have made their way to the home; and thanks to low cost appliances and one new book it’s really catching on! 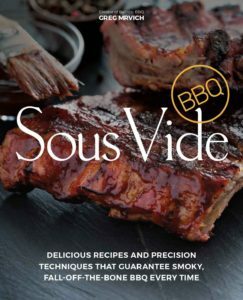 My friend Greg Mrvich from YouTube’s Ballistic BBQ has just released a deep dive cook book on Sous Vide grilling called “Sous Vide BBQ” and it’s a great introduction to the technique. 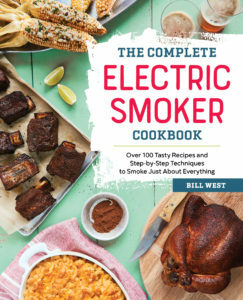 The publisher’s notes say cooking meat sous vide offers precision temperature control that means you’ll never have to worry about dry, overdone steaks, ribs, or chicken ever again—and don’t worry, you can finish them all under the broiler or on the grill so you don’t miss out on that perfect smoky sear. 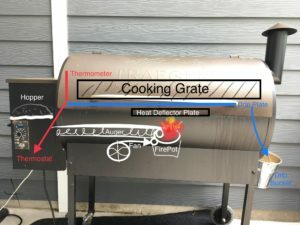 What do you Need to Sous Vide Grill? The sous vide circulators are the “most important component” according to the author Mrvich. Below are some of his Pros and Cons with links to the products. Some links may be affiliate links that provide us commissions at no added cost to you. Anova Sous Vide Precison Cooker: A great buy and very easy to operate. Bluetooth/Wifi models available but look for this model with the temperature dial (Greg’s favorite feature) on the unit for easiest control. $108.99 (also an Amazon Choice). 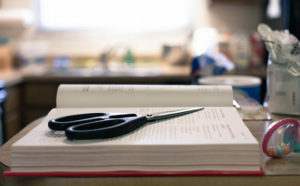 You can make things a bit easier with a few key accessories detailed and recommended in the book. 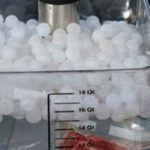 Sous Vide Balls: T hese ping pong ball like orbs help minimize evaporation in long cooks. Because they are made of a special plastic they help bring the water temperature up quicker. Sous Vide Tub: Sure you can use any container, but a large clear tub can be important to spot what’s happening inside of the bath (like a bag that’s leaking). Recommended in the book: Everie and Cambro. 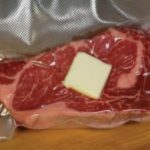 Vacuum Sealer: Sous vide literally means “under vacuum” in French. Greg uses a FoodSaver brand. See the book for the detailed immersion technique for sealing the bags. Sous Vide Clamps: These clamps help when using zip-top bags as well as keeping bags from drifting. 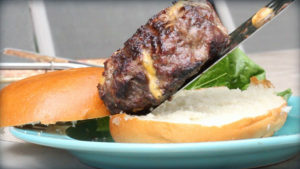 The sous vide and grill trick can scientifically help you nail the perfect steak “done-ness” temperature.With options for finishing outside in your smoker or on the grill, the book’s 50 recipes cover everything from backyard classics to gourmet creations, including Barbecue Beef Brisket, Perfect Burgers and Santa Maria Tri-tip. Looks like we may have a new way to get a super affordable modular outdoor kitchen. Char-Broil has just announced this special set that looks like a turn key Modular Outdoor Kitchen . The set is great looking and seems to be affordable. I’d definitely say drool-worthy! I had been using a modular kit from Sam’s Club and like the ease of buying a modular unit like this. The gas grill was the work horse (loved the infrared searing burner and rotisserie). The mini-fridge and sink didn’t get much use. Still it was three pieces for a good price. Stainless steel held up nicely outdoors. Now Char-Broil has entered the field and it looks like they have all the goodies you’ll want plus a few more you may not have even thought about. I’ve always liked Char-broil’s build quality in the Kamander and their Electric Smokers are great. 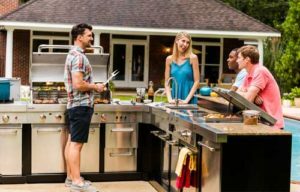 The new Modular Outdoor Kitchen is an affordable, collection ranging from a 5-Burner TRU-Infrared™ Gas Grill ($1,499) to a bar top ($449). Available exclusively at Lowe’s, this line includes gas grills, a stove top, entertainment module and more. COLUMBUS, G.A. Char-Broil has made the dream of owning an outdoor kitchen an affordable reality with the introduction of the Modular Outdoor Kitchen. It features a 5-Burner TRU-Infrared™ Gas Grill, Outdoor Stove Top, Refrigerator, and more. Char-Broil is taking kitchen capabilities outdoors to create the ultimate outdoor cooking and entertaining experience. 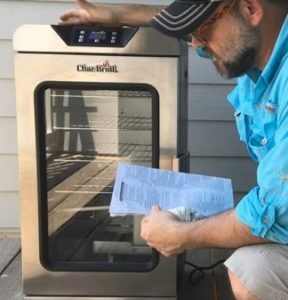 “We are dedicated to innovation in the outdoor cooking space and aim to deliver luxurious, high-quality products at an accessible price so anyone can enjoy the satisfaction of outdoor entertaining,” says Char-Broil Gas Grills Product Manager, Robert Hawkins. Listed below are product modules. Additionally, unique, high-end features like stainless steel construction and granite countertops provide durability. 5-Burner TRU-Infrared™ Gas Grill ($1,499): Equipped with TRU-Infrared™ cooking technology, this 5-Burner Gas Grill boasts even heat, prevents flare-ups and delivers up to 50% juicier food every time. Made of premium stainless steel. 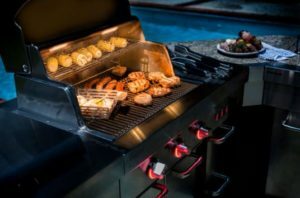 3-Burner TRU-Infrared™ Gas Grill ($1,099): Experience the benefits of the 5-Burner Gas Grill on a smaller scale to suit your grilling needs and better fit your outdoor space. Outdoor Stove Top ($599): Bring the convenience of an indoor kitchen outdoors and prepare an array of side dishes and sauces in mini-pans or 40-quart pots. Outdoor Gas Griddle ($599): Whether you’re in the mood for grilled breakfast, lunch or dinner, cook a variety of foods simultaneously on the Griddle’s large surface area. Entertainment Module ($1,199): Designed to turn your Modular Outdoor Kitchen into the ultimate entertainment space, the Entertainment Module provides ample prep space, as well as a full-functioning faucet and sink. Also included is an insulated cooler, cutting board insert, trash can and electrical outlet. Granite Bar Top ($449): Add additional space to your Entertainment Module for your family and friends to gather with the attachable Bar Top. Refrigerator ($899): With 2.7 cubic feet of storage and adjustable shelving, this Energy Star® rated Refrigerator can accommodate an array of food and ice-cold drinks. Corner Module ($449): This Corner Module not only provides additional counter space, but also creates a variety of design possibilities. The Char-Broil® Modular Outdoor Kitchen will be available exclusively at Lowe’s stores. 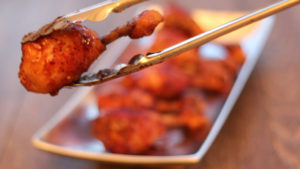 Plum Chicken Pops is my favorite recipe from my new book The Complete Electric Smoker Cook Book. Chicken Pops are one of those things that are a bit of a trick to make therefore they’ll take a bit more time. As a result they are always more appreciated. Check out the video to see the How To pluck the pops HERE. 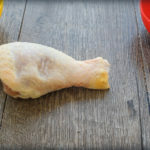 Chicken drumsticks have always been a BBQ favorite. We love them as a kid because they are tasty, hand held, portable, and fun. As an adult I can also appreciate the fact that dark cuts of chicken are easier to cook without drying out. 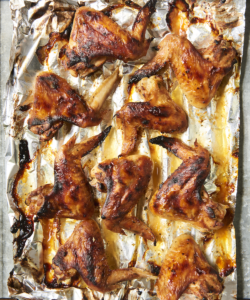 Because dark meat is so affordable – heck inexpensive – my wallet is happy too. Furthermore, the addition of this sweet and sticky plum sauce takes the drum stick to the next level of flavor. Plus, making the handle all fancy (a technique known as “Frenching”) keeps your family’s fingers from getting too sticky. The boys (young and old) will just like it because it looks cave man cool. First of all make the plum sauce. Combine all ingredients in a medium saucepan and remove from heat after reaching a boil. Set aside. pull and “pluck” the long tendons This can sometimes be tricky (and slippery) to do. Don’t panic if you lose a bit of meat clinging to the shoelace -like tendons. 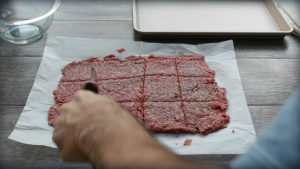 Grip the meaty end to help keep more meat in the process. 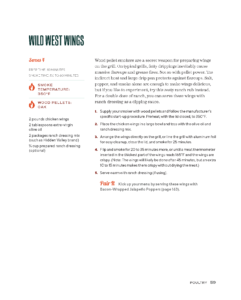 Sprinkle each with salt and pepper and head to the smoker. Finally, I like to dredge the pops in the sticky sauce. However it’s really up to you. I am so excited to announce that I have a new book coming September 26th!! You can pre-order it now CLICK HERE! 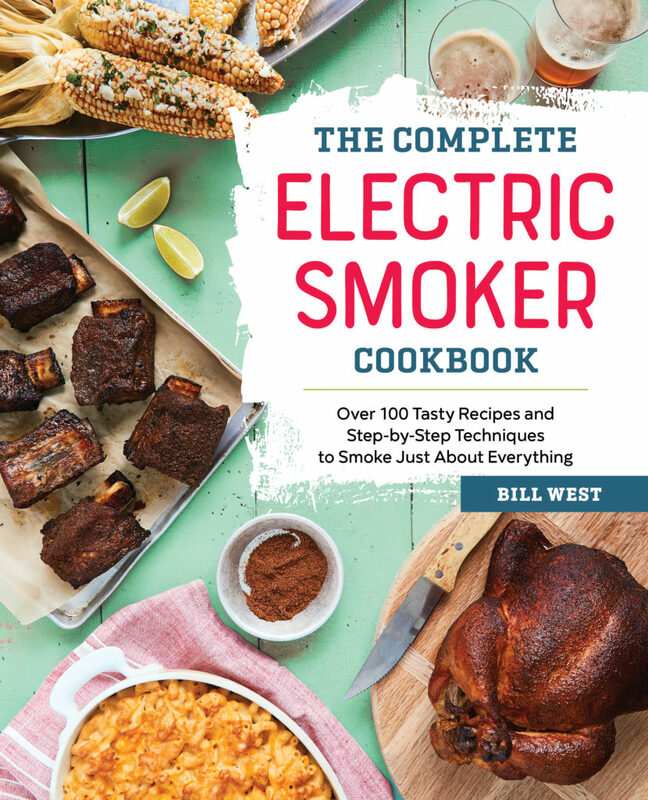 The book is about how you can easily master smokin’ good BBQ, cheaply, conveniently, and deliciously while using any electric smoker. 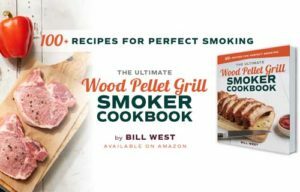 Recipes are designed for busy people to leverage all the convenience and simplicity of smoking on an electric cooker with authentic wood smoke flavor. If you’ve ever tried stuffing a burger with cheese you know it can be challenging. Here’s how to master stuffing a burger with pimento cheese (recipe below) without creating a burger mess. Stuffing with this kind of cheese works really well because the combination of cheeses tends to stay firm enough to keep from leaking out. Pimento cheese is a southern delicacy sometimes called the “Caviar of The South.” I love it because it can also be used as a dip or spread on crackers. In fact – thanks to low carb diets – it has become trendy to serve with pork rinds. 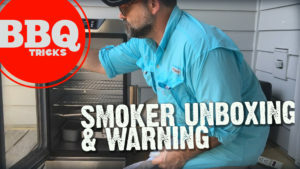 WATCH: Take a look at the video as i step through making the pimento cheese, stuffing a burger with it, and grilling them up over charcoal. 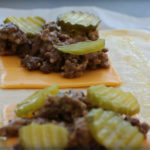 The trick is to shape the cheese into a tube shape in parchment paper and freezing or chilling. Then cut the cheese into disks that can be pressed into hamburger cups. 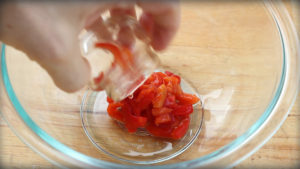 Working with COLD ingredients helps the process.